In Ella's Element: I'm Going Back To University! Hello lovelies! So if you read my last post you'll know that I mentioned that I am going back to university in September to do a Masters Degree. So today I'm just going to explain my reasons and let you know a little bit about my MA. So why am I going back to University? If you know me personally or have read into a few things I've put on this blog you'll know that I hated the majority of my time doing my degree at uni. And you might be wondering why I am doing it all again. So I've listed my reasons..
1. It's for one year not three. If it turns out I hate my course and I feel it was the wrong decision there is nothing stopping me dropping out at any time. But if I decide to stick it out even if I am not enjoying it it's only a year and not three years like my original degree. Am I doing an MA in order to have another year to think about things and my future? Maybe.. Partly. However at least for that year I will be doing something I (hopefully) enjoy and that I feel productive doing. While at university I fell out with a friend and the whole situation got really messy (I'm not going to go into it it's in the past and the dust has long since settled) but it prevented me from wanting to go to lectures (that and my anxiety decided to peak during my third year). So I am looking forward to going back to uni where there is no bad blood or drama. I absolutely love coming across a topic I am interested in and expanding my knowledge on it. I've always been a massive book worm and I love discovering new things. I love learning about religion and that's why I chose my undergraduate degree in Religious Studies but I felt it was very restrictive in what I was learning about. My MA incorporates so many of my interests and it also allows me to explore my creativity as one of my assessments is to make a "creative portfolio" incorporating the subjects I'll be learning about, which I am so excited for! The course sounds so interesting and this is the main reason why I am going back to university. What is my Masters about? The full title of my MA is: Myth, Cosmology and the Sacred. The course incorporates so many things that I am interested in: history, philosophy, religion and practice, anthropology. We learn about Renaissance art, music and astrology as well as Divination and psychology and so much more. I'm only skimming the surface of what I will be learning about as there is so much! I am so excited to start this MA and although I am a little apprehensive about it I can't wait for September and I'll keep you posted about how it's all going. I hoped you enjoyed this post. Do you like the sound of my MA? 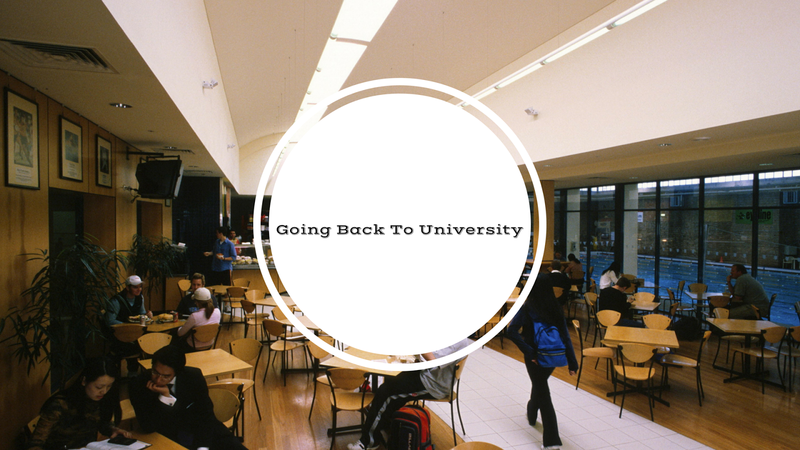 Would you go back to university? I'm thinking of doing a masters next year after this coming year, but the money situation for me is a bit of a problem. That government loan is not enough to have a stable uni life on its own and I'm concerned that most of the MA's I'm applying for are two years! But I really do want to do a masters and if you have any advice through the year please let me know. I totally understand how the money can be an issue, I'm having to stay at my parents' house because I would not be able to support myself. Of course I will give you advice throughout the year my advice at the moment would be considering staying with family (I know it may not be ideal for some) and check out deals (I'm studying at the same uni I went to before so I got a 20% discount off my Masters) I hope that helps a little. Good luck if you do decide to do a Masters and thanks for dropping by! I agree totally you're much more likely to do well if you are doing something you are passionate about! Thanks for dropping in! I can't wait to keep you updated with everything that is going on! Can't wait to hear from you my gorgeous friend! Hope you are well beautiful lady! I graduated 6 years ago and couldn't even contemplate going back to studying...you've raised some good points though and it's good you've picked a subject you're really interested in. Gotta say, I do miss the whole socialising aspect of student culture...that, and the lie-ins :P.
I was definitely in two minds about it for a while but it feels like a step in the right direction for me. Haha I'm going to try and resist student culture and all the lie ins. Thanks for popping in!